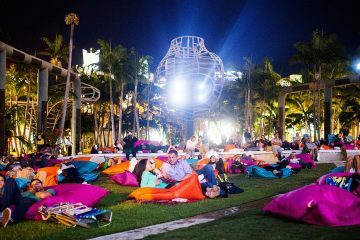 As the weather turns cold and the Xmas lights begin to twinkle in Baltimore, the art world prepares for one of the year’s biggest international art events: Art Basel Miami Beach (#ABMB). 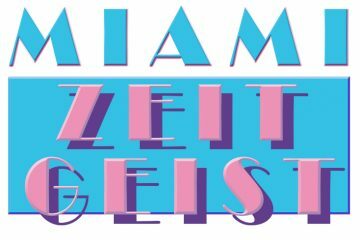 Whether you want to attend the fairs to browse, research, buy, or party, Miami’s proliferating array of art fairs happening December 1-6 presents something for everyone – from lectures and salons to parties and vicarious shopping for the 1%. 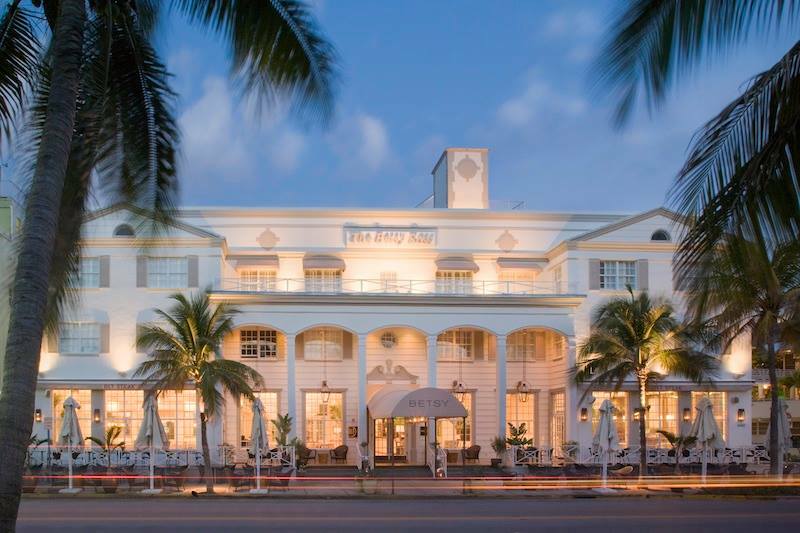 Miami’s balmy weather, waving palm trees, beautiful blue-green water, and abundance of amazing Cuban food and ceviche are all an added bonus. If you are visiting from Baltimore, do not assume your community is sitting home in the cold. 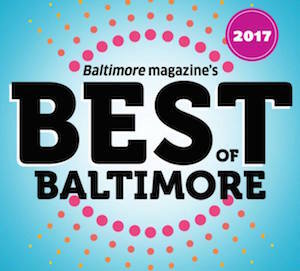 You may need to search, but Baltimore’s artists, galleries, and creative community will have a strong presence at many of the fairs you attend if you know where to look. To help you on your quest to hang out with some of Baltimore’s finest artists, BmoreArt has compiled a must-see list of Baltimore artists and galleries at #ABMB. 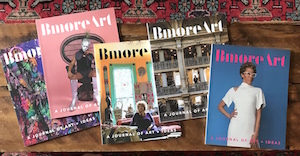 **BmoreArt Event: Magazines in the RFC Bookstore! Come hang out with us, buy your copy of our new magazine, and enjoy the new exhibit and other ABMB performances and programming. 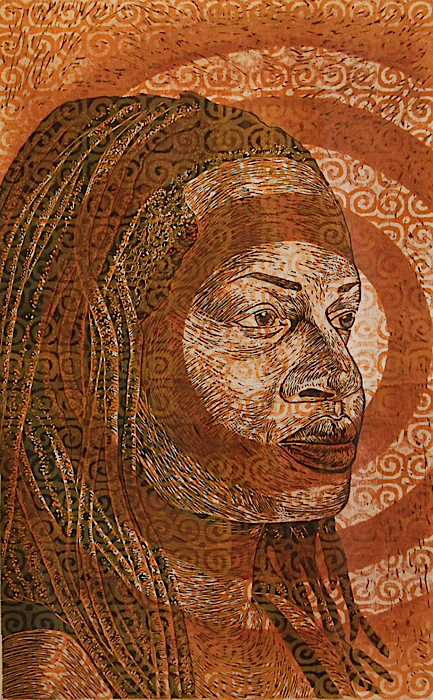 Be sure to stop by The Betsy South Beach featuring exhibitions that include works by Grace Hartigan, Judith Mason, Christopher Cozier and others with special events (salons, openings, and performances) scheduled throughout the week. All events are free and open to the public. 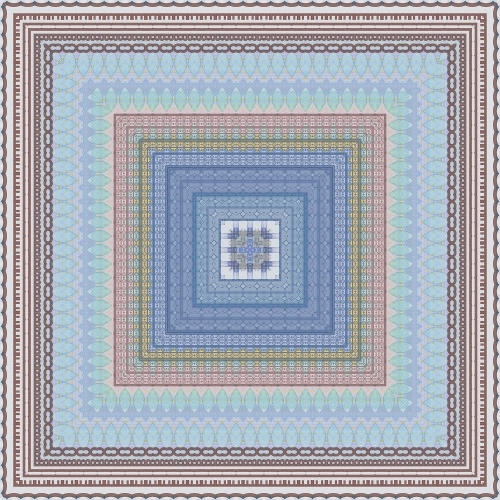 A percentage of works sold will be donated to Zara’s Center in Zimbabwe, Betsy’s international relief program. Dr. Leslie King Hammond will host lead a roundtable discussion on Rebuilding The City: Image and Deed, drawing inspiration from Christopher Cozier’s work with Alice Yard to Chris Metzger’s reincarnation of JR’s Inside/Out and its metamorphosis into Baltimore’s OpenWorks Initiative, where Dr. Hammond is a Senior Fellow. 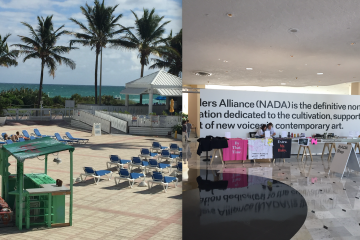 Both artists are featured in The Betsy’s Art Basel 2015 Exihibits. 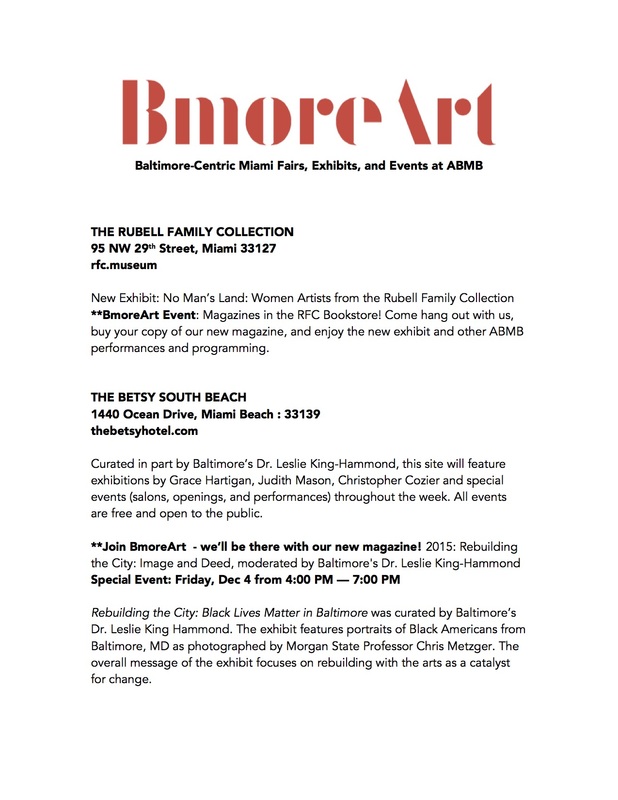 This Salon is presented as part of the Art Basel 2015 exhibition, Rebuilding the City: Black Lives Matter in Baltimore, curated by Dr. Leslie King Hammond. The exhibit features portraits of Black Americans from Baltimore, MD as photographed by Chris Metzger. The overall message of the exhibit focuses on rebuilding with the Arts as a catalyst for change. The exhibition is located in The Betsy’s Underground Gallery and will be on view through March, 2016. Rebuilding the City: Black Lives Matter in Baltimore was curated by Baltimore’s Dr. Leslie King Hammond. The exhibit features portraits of Black Americans from Baltimore, MD as photographed by Morgan State Professor Chris Metzger. The overall message of the exhibit focuses on rebuilding with the arts as a catalyst for change. 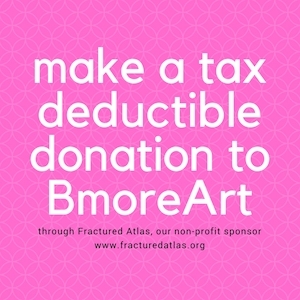 *The BmoreArt Journal of Art + Ideas will be available in limited numbers at this fair! 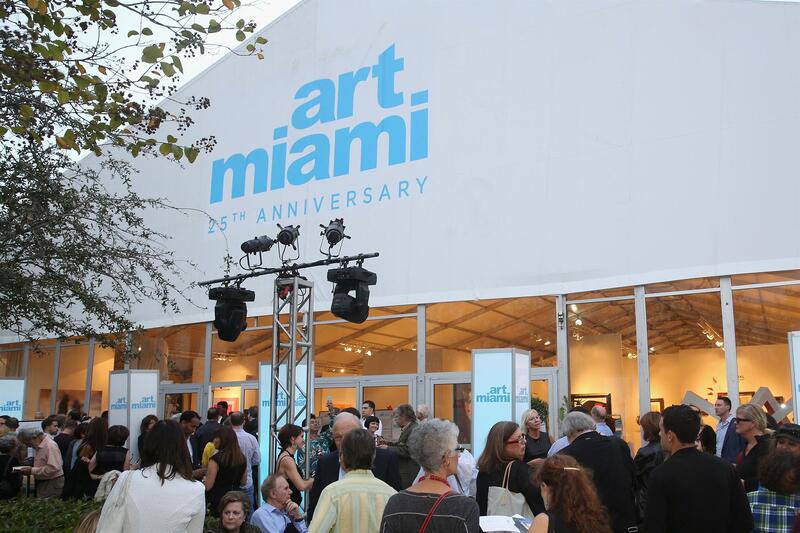 We are proud to participate as a media sponsor for Prizm Art Fair. 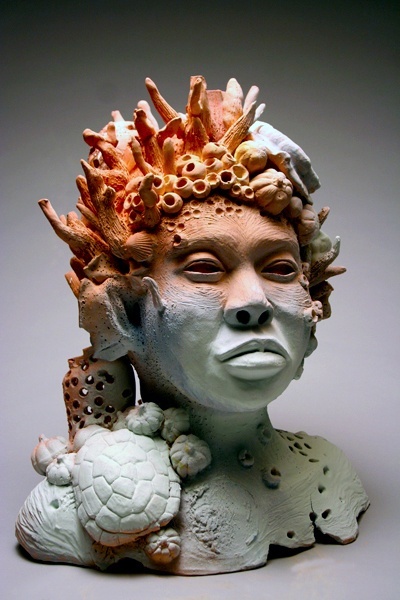 Latoya M. Hobbs, where she also works as a Professor at the Maryland Institute College of Art. 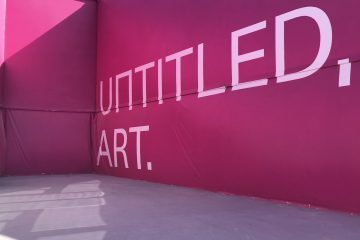 Present Company is excited to return to South Beach for the fourth edition of UNTITLED. 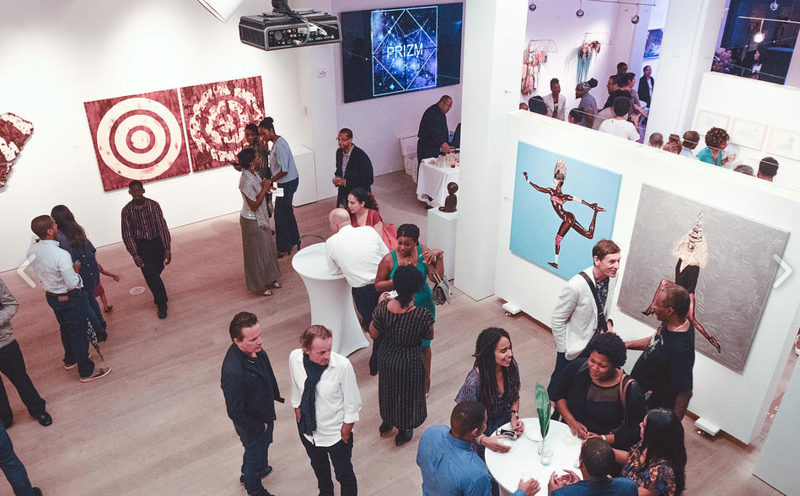 – the curated art fair founded by Jeff Lawson and organized by Artistic Director, Omar Lopez-Chahoud with Christophe Boutin and Melanie Scarciglia. We will be presenting paintings by LUMIN WAKOA (Brooklyn), sculptures by SABINA OTT (Chicago), and photographs by JENNIFER GRIMYSER (Brooklyn) and GINEVRA SHAY (Baltimore). Baltimore-based Goya Contemporary will exhibit works by: Timothy App, Madeline Keesing, Joyce J. Scott, Sanford Biggers, Heinz Mack, Sérgio Sister, David Brown, Wilhelm Mundt, Jo Smail, Sonya Clark, James Nares, William Kentridge, Sally Egbert, John Nathanson, Louise Fishman, and Soledad Salamé. Washington, DC-based CONNERSMITH will exhibit NORMAN BLUHM, ALMA THOMAS and HOWARD MEHRING from The Estate of Vincent Melzac. 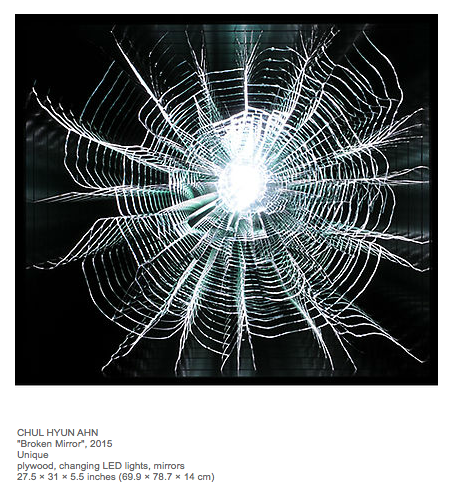 Also, the new Magical Realist oil paintings by ERIK THOR SANDBERG and recent digital light sculptures by LEO VILLAREAL. CONTEXT Art Miami is the sister fair to Art Miami dedicated to the development and reinforcement of emerging and mid-career artists. Launched in 2012, CONTEXT Art Miami’s open atmosphere creates a meaningful dialogue between artists, galleries and collectors while providing the ultimate platform for the presentation of mid-career, emergent and cutting-edge talent by emerging and established galleries. 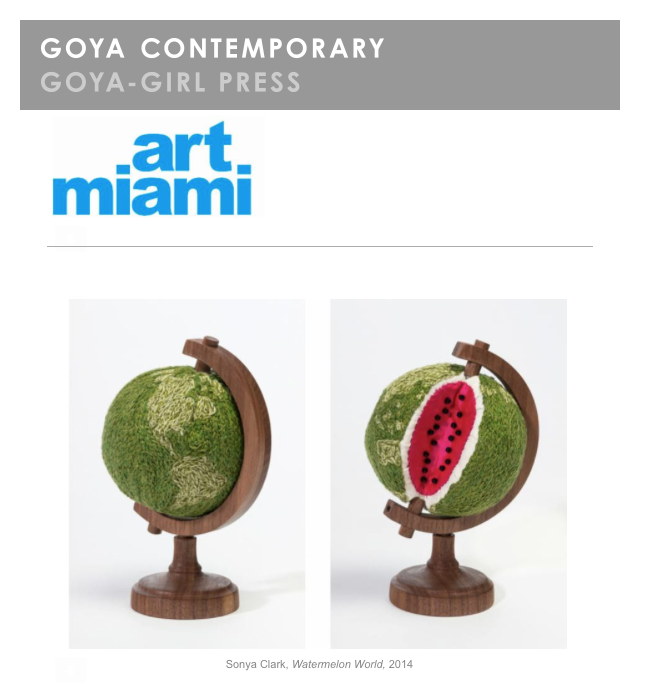 Ninety-five international galleries, vetted by the CONTEXT Art Miami Selection Committee, exhibit highlights from their gallery programs, solo artist exhibitions and curated projects. 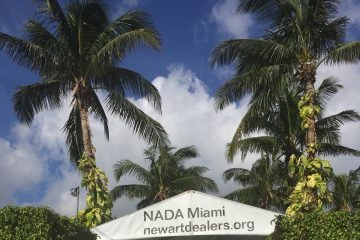 The combined efforts of CONTEXT Art Miami and Art Miami provide a unique and alternative opportunity for leading primary dealers and their artists to be marketed and promoted internationally during the most important week for contemporary art in America. Adah Rose Gallery based in Kensington, MD is close enough for me. They will be exhibiting established contemporary artists, mainly from the DC region, and the gallery works with emerging artists and showcases the work of recent MFA graduates. Baltimore-based gallery Randall Scott Gallery will be exhibiting works by a number of local & national artists including: Seth Adelsberger, Michael Bevilacqua, Valentina De’ Mathà, Tim Doud, Alex Ebstein, Julia Fullerton-Batten, and Jason Hughes. Wanna come to the fair? here is a link for a complementary pass. 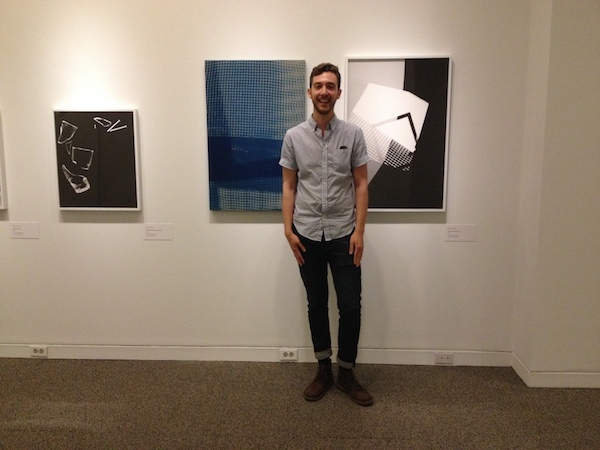 FOUR Baltimore Galleries: Terrault Contemporary, Platform Gallery, bb, and Open Space. This fair includes artist-run galleries from across the country and will include performances, talks, and other events. It will also feature a room curated by NY-based art blog Art F City that will function as a gay bar and installation. As usual, the young artists will be placed in a hotel that is slated for upcoming ‘revitalization’ – but that’s sort of part of the fun, right? 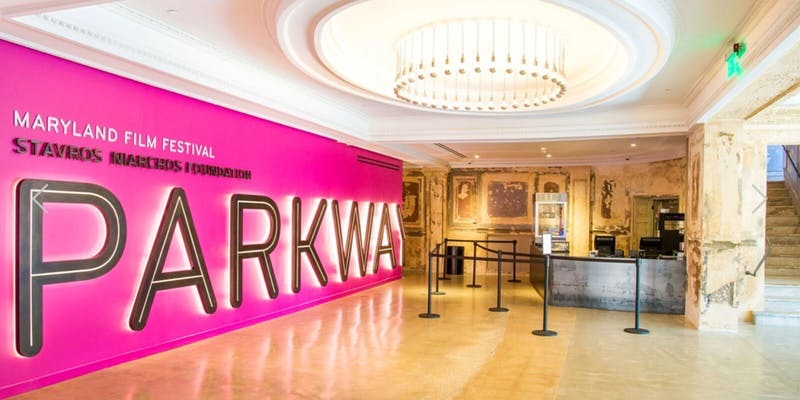 Eighteen different American cities and two European cities will be represented in the hotel, highlighting the global draw that the artist-run movement has for artists in the contemporary art world. 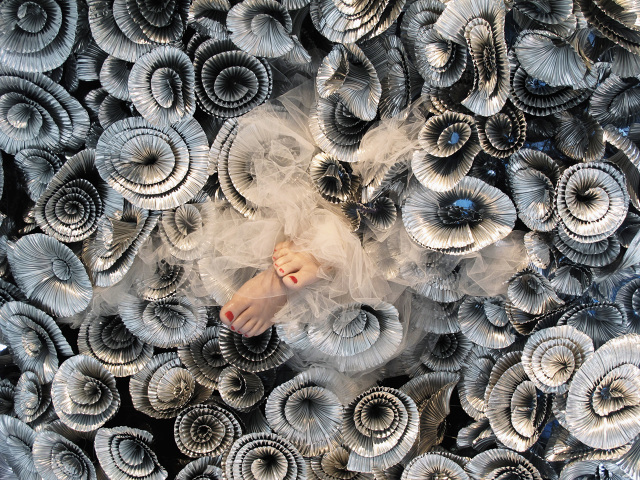 Artist-Run’s focus on installations and environments will distinguish this exhibition from the white-box displays taking place throughout Miami during the week. 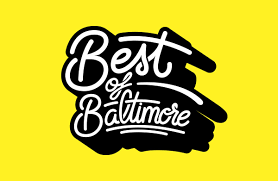 “Bb” is an artist-run interdisciplinary space located in Baltimore’s Bromo Arts District and founded in November 2014. 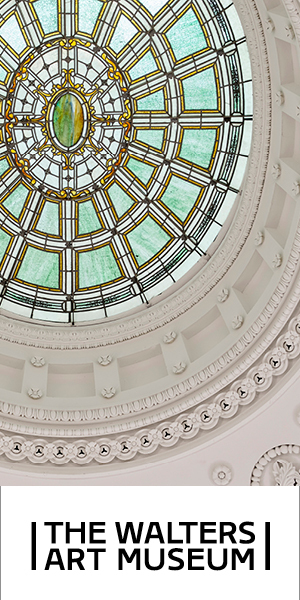 Primarily focused on providing free lectures, workshops, and events to the public, Bb simultaneously functions as a gallery, lecture hall, and social space. Julia Yerger (b. Eldersburg, MD 1993) received her BFA in Interdisciplinary Sculpture from MICA in 2015. Recent exhibitions include Something Dawning at The John Fonda Gallery and Yes and No But at Penthouse Gallery. 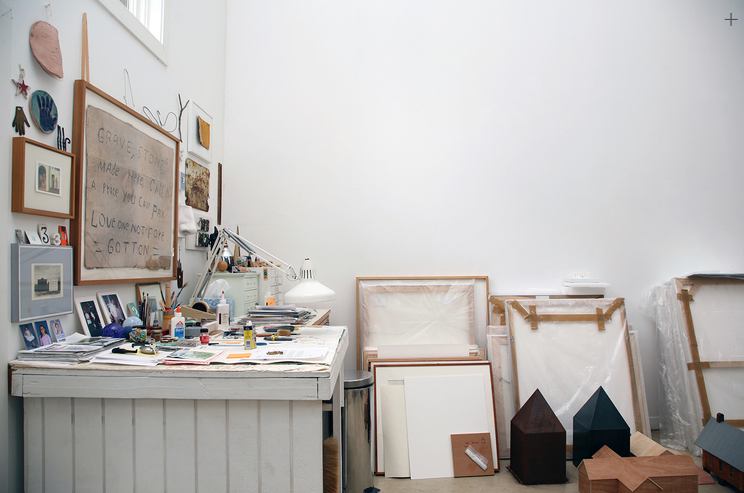 Open Space is an artist-run gallery from Baltimore,MD started in 2009. 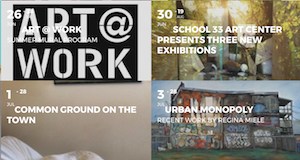 Our mission is to promote a vibrant and connected arts community in Baltimore through art exhibits and events programming (lectures, film screenings, etc.). In addition to exhibits and events we host two large-scale annual festivals: The Publication & Multiples Fair and Artist-run Art Fair. Open Space will be presenting Stupid Bar, a lopsided bar that will serve mystery beverages. 2D and 3D work will accent the environment and a small cast of performance artists will occupy the space and periodically perform. Platform Gallery was founded in 2014 by Lydia Pettit and Abigail Parrish on the first floor of Platform Arts Center. 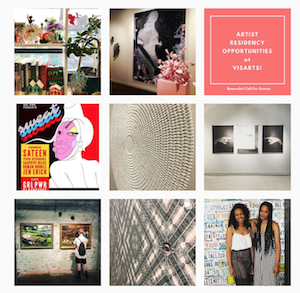 Functioning as a commercial gallery, Platform promises to create driving, thought-provoking shows that question the relationship between artist, curator, and community as well as providing opportunities for Baltimore and regional artists to show their work. 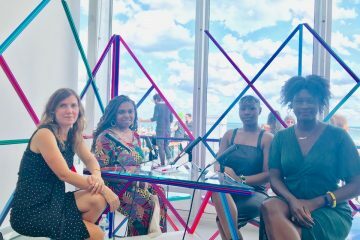 Run by women, Platform is an open, safe space for artists of all genre to meet and collaborate with community members of any class, race, gender, or age in hopes of influencing future shows and programming. Exhibitions span from new age artists that are influential to contemporary art to curated historical investigations of art in Baltimore. Platform promises to excite audiences beyond the art community, challenge convention, create new paths, and open its doors to change. Platform will be exhibiting an installation by Baltimore artist April Camlin, with a bathroom installation by Baltimore artist Lee Heinemann. TERRAULT CONTEMPORARY is an artist-run gallery in Baltimore that facilitates multi-disciplinary, innovative exhibitions and programming. 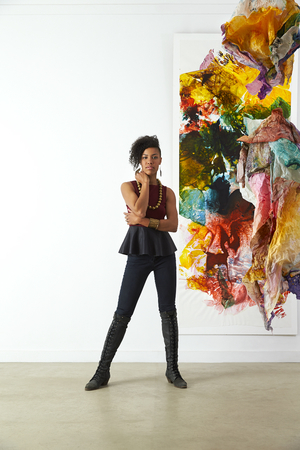 By highlighting emerging and mid-career artists based in Baltimore, Terrault brings new and cutting-edge work to diverse audiences. 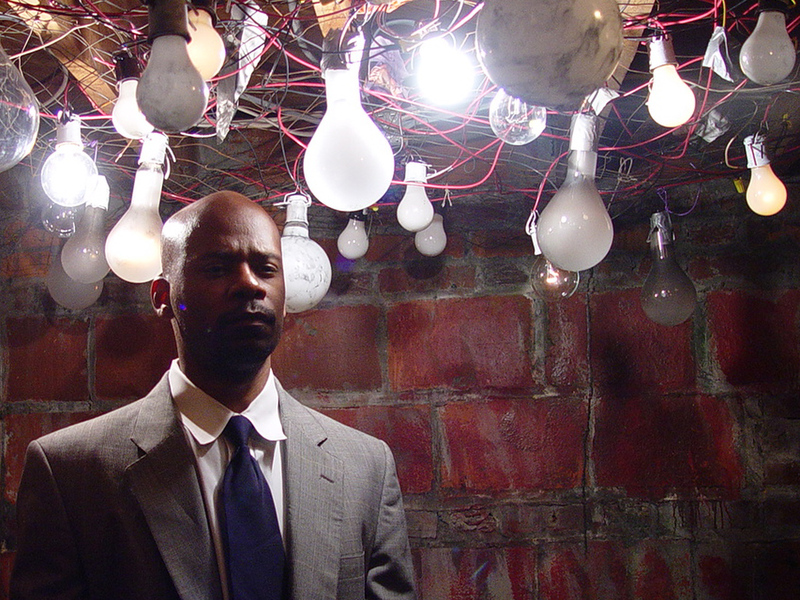 Terrault Contemporary will present wish you were here, a video installation by Helen Jackson-Adams. The room will incorporate the video piece itself, as well as specifically lit sculptural objects inspired by the mood and visual elements within the video. A full-scale exercise is an emergency preparedness procedure that aspires to be as close to the real thing as possible. It asks participants to anticipate the future by imitating the behaviors, relationships, and communication strategies it might require. Image: Barbara Polster, Tide Pull, 2015, Documentation of attempt to raise the tide by pulling with a rope; Archival ink jet print, 16″ x 27″, Courtesy the artist. 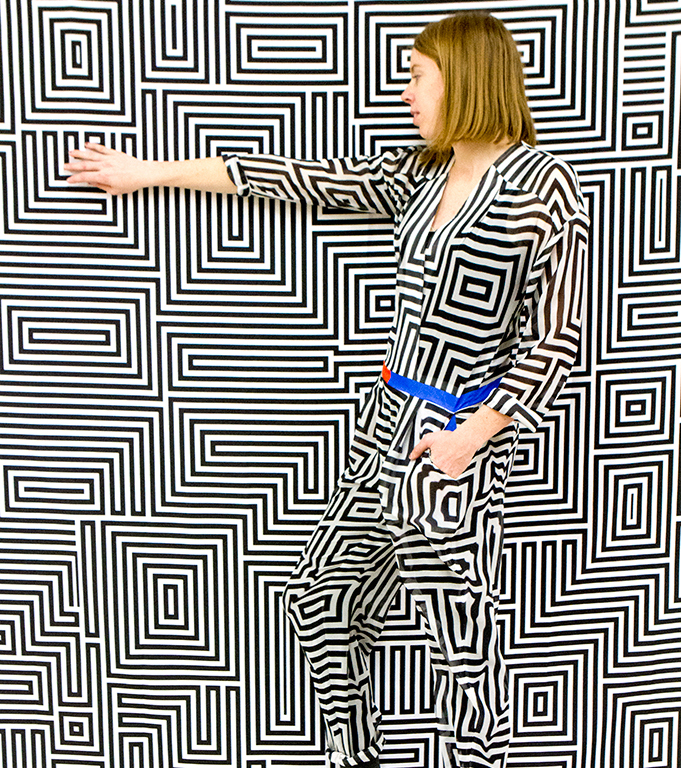 Art F City is one of the leading independent art criticism sources in New York City. Art F City will present F.A.G. Bar, a pop-up gay bar in South Beach, which responds to the displacement of many historically queer communities through gentrification. 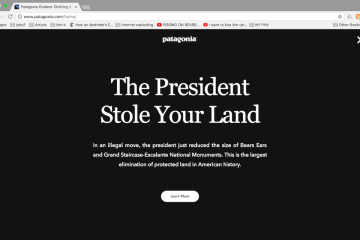 F.A.G. Barwill pay homage to the gay bar as a social space that blends between the real with an interactive online component. Art F City will be showcasing work from artists around the country who deal with the demise of gay bars, gentrification in queer communities, and the identities one presents cruising online or participating in nightlife – including Baltimore-based Sondheim winning duo Wickerham & Lomax. 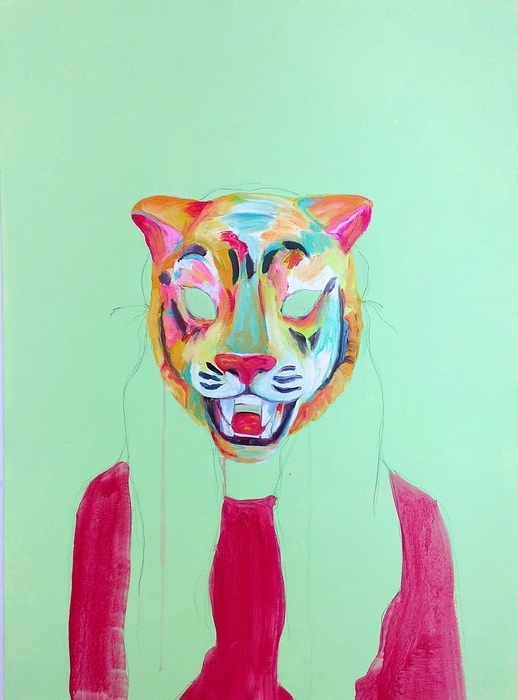 Tiger Strikes Asteroid is a network of artist-run spaces with locations in Philadelphia, New York, and Los Angeles. 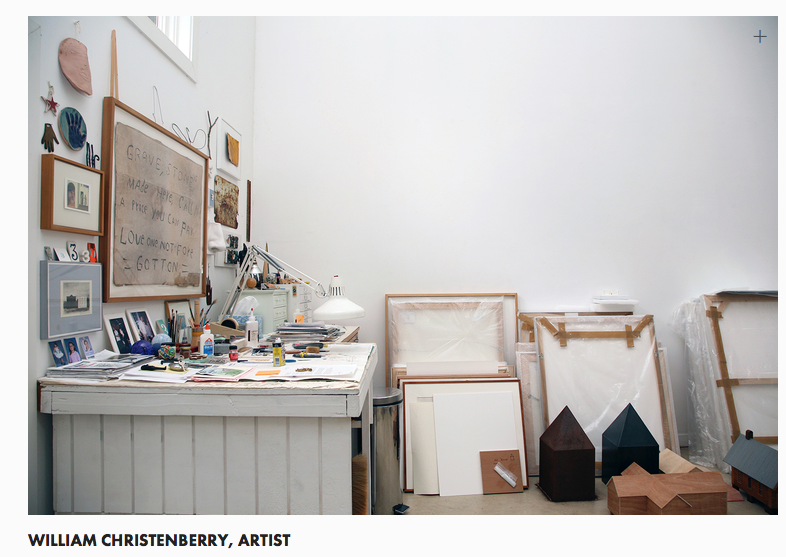 Each space is independently operated and focuses on presenting a varied program of emerging and mid-career artists. 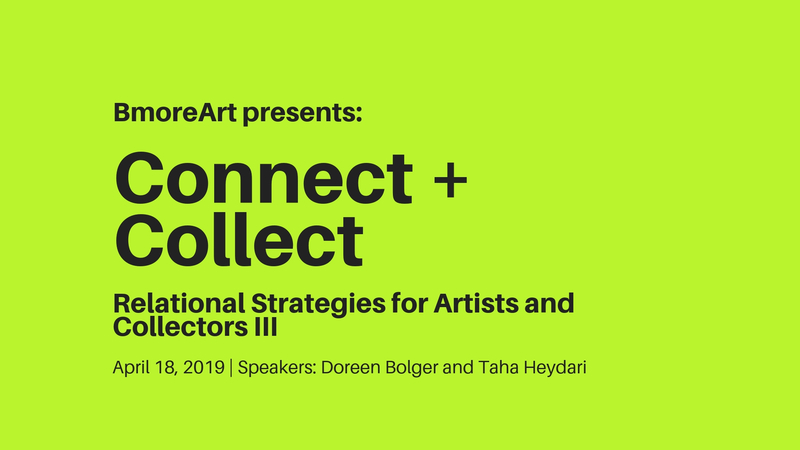 Our goal is to collectively bring people together, expand connections and build community through artist-initiated exhibitions and curatorial opportunities. 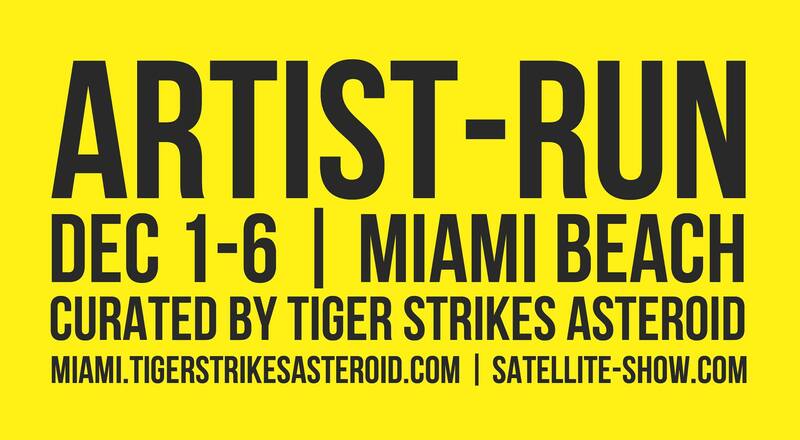 Find out more at www.tigerstrikesasteroid.com. SATELLITE, a new project series brought to you by Brian Whiteley (founder of the Select Art Fair) and Art Market Productions, will debut this December 1 – 6 in Miami Beach. SATELLITE will populate several unoccupied beachfront properties, with each distinct venue stewarded by notable art organizations and curators. The goal of SATELLITE is to initiate new conversations and to foster experiential and exploratory interactions with art. Find out more at www.satellite-show.com.